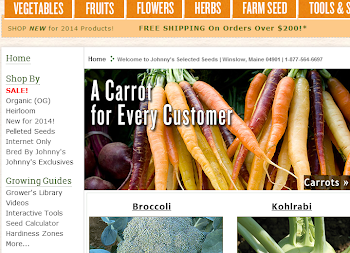 Johnny's Selected Seeds donated $40,000 to the Maine Farmland Trust in May. The money was split between two of Maine Farmland Trust's buy/sell/protect projects. • River Road Farm (now named Stonecipher Farm) in Bowdoinham: The Maine Farmland Trust bought and preserved 100 acres. About 60 acres (including all the farmland) was resold to a young couple (Ian and Tabitha Jerolmack), who are raising vegetables there. MFT raised $100,000 to cover the difference between the property's purchase price and what would be recouped from the sale price. $20,000 came from Johnny’s. Learn more about Stonecipher Farm. Article on Stonecipher Farm from the Brunswick Times Record. • Charleston dairy farm: MFT bought a 580-acre farm (with 220 tillable acres) in Charleston, which will be leased to a local dairy farmer. The farmer, who recently lost access to other leased land, will use the land for crops and pasture. This property is critical to the farmer’s operation. The farmer will likely buy the land from MFT (as preserved land) in a few years. When all is said and done, MFT will recoup what it paid for this farm, but will accrue costs in the intervening period. Johnny’s remaining $20,000 will cover a portion of those costs. Johnny’s gift made the project possible. Watch TV news show about Johnny's $40,000 donation. Read about Johnny's Selected Seeds Charitable Giving program. Anonymous, do you wish to unsubscribe from our email newsletters? 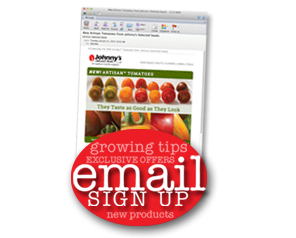 We would need your email address to remove you from our mailing list, or you can do it yourself by going to our unsubscribe page and entering your email address.